On January 26, 1931, a physician at St. Joseph’s Hospital in Joliet, Illinois, injected a 15-year-old girl with parrot’s blood. As it turns out, the mishap had less to do with the doctor’s medical knowledge and more to do with a simple, yet bizarre, miscommunication. 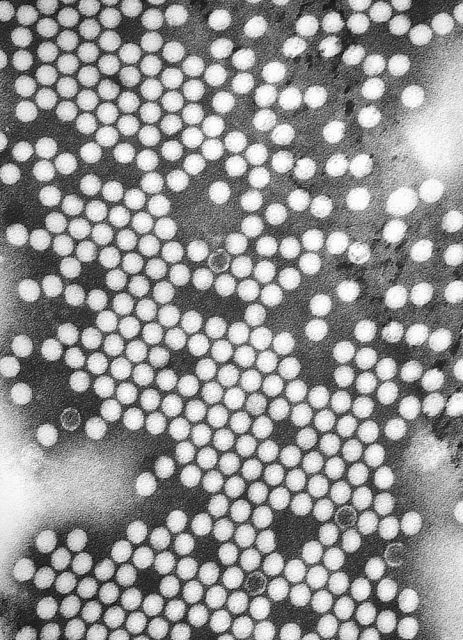 A TEM micrograph of poliovirus. According to the story, Lilian Fisher was suffering from “Infantile Paralysis,” and admitted to St. Joseph’s Hospital for treatment. The Mayo Clinic defines Infantile Paralysis as the once commonly used name for what modern medicine now calls Polio. Polio is a highly contagious disease which causes severe nerve damage. The nerve damage causes paralysis, and in time becomes so bad the patient is no longer able to breathe and can, as a result, die from the symptoms. 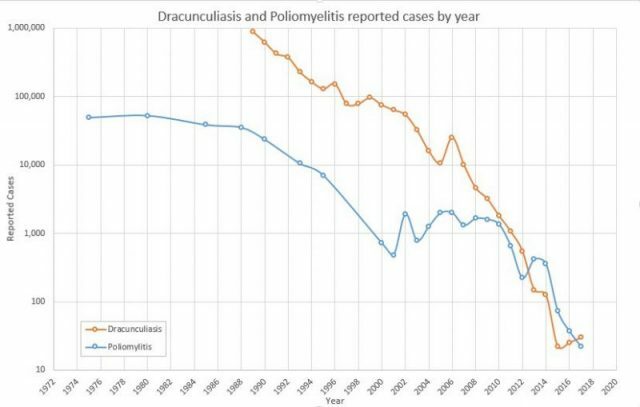 Thanks to modern vaccinations, there has not been a natural case of Polio in the United States since 1979. However, in 1931, the disease was much more common and used to be treated with blood transfusions. So when Lilian Fisher’s doctor, who was unnamed in the article, realized that Lilian required a blood transfusion, he quickly phoned Dr. George Howitt Weaver at Durand Hospital in Chicago for advice. 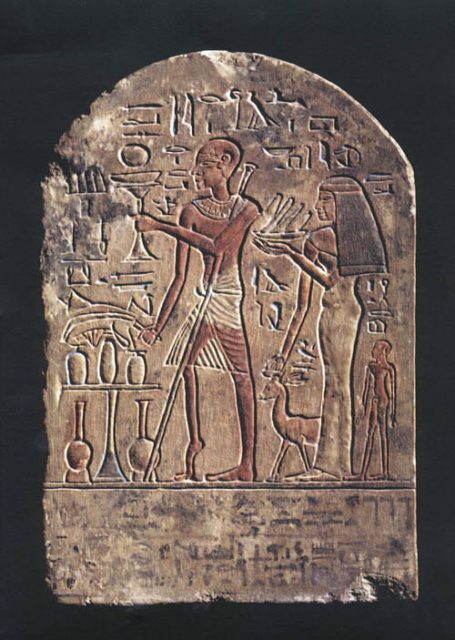 Dr. Weaver’s recommendation was simple: “Use her parent’s blood.” However, this is not what Lilian’s physician heard. 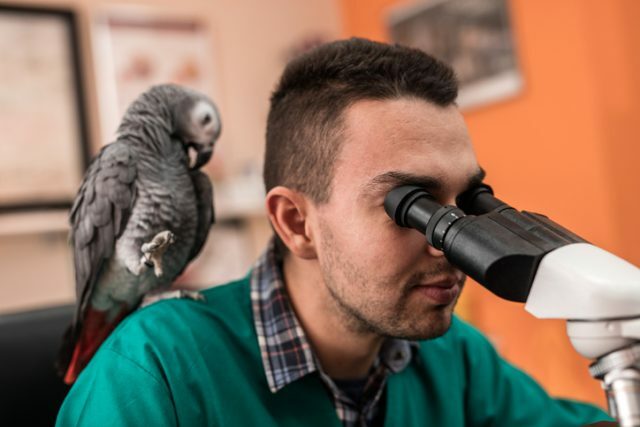 After hanging up the phone, he searched frantically for a parrot, which he found and put under anesthetic. He then drew five cubic centimeters of blood from its heart and injected it into Lilian Fisher via intermuscular injection. 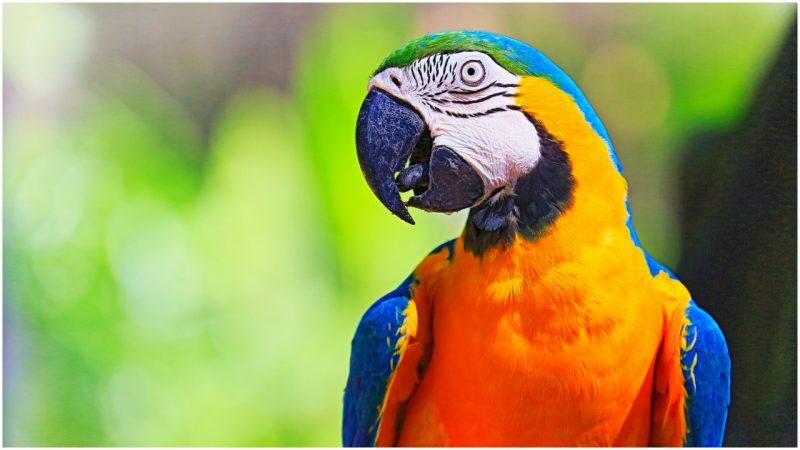 By the time the story was written and published, Lilian and the parrot were reported to be on their way to recovery. 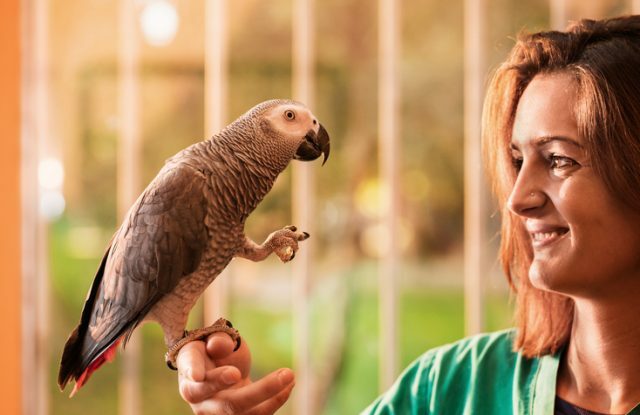 Thankfully, neither doctor claimed that her improved condition had anything to do with the parrot’s blood. Instead, when Dr. Weaver found out about the mishap, he claimed that her recovery was “not likely to have resulted from the injection.” He also claimed that the transfusion should not have any negative long-term effects. Before the 20th Century, very little was known about Polio. According to the Journal of Epidemiology, the disease devastated Europe during the 19th Century, but doctors knew nothing about its cause. In the summer of 1894, the first polio epidemic hit the United States, where 132 total cases were reported in the State of Vermont. Twelve years later, two Austrian physicians, Karl Landsteiner and E. Popper, finally discovered poliovirus as the cause. While this was the start of research into a cure, prevention and treatment would not become available until 1971. In 1916, tens of thousands of cases were reported in the United States, with over 9,000 cases in New York City alone. In 1929, Physician Peter Drinker developed the iron lung, which aided Polio victims in respiration. However, the contraption was expensive and often imprisoned polio patients in its coffin-like structure for life. Thankfully, today, polio is easily prevented by vaccinations. But it still affects children and adults in Africa and in parts of Asia where vaccinations are not widely available.